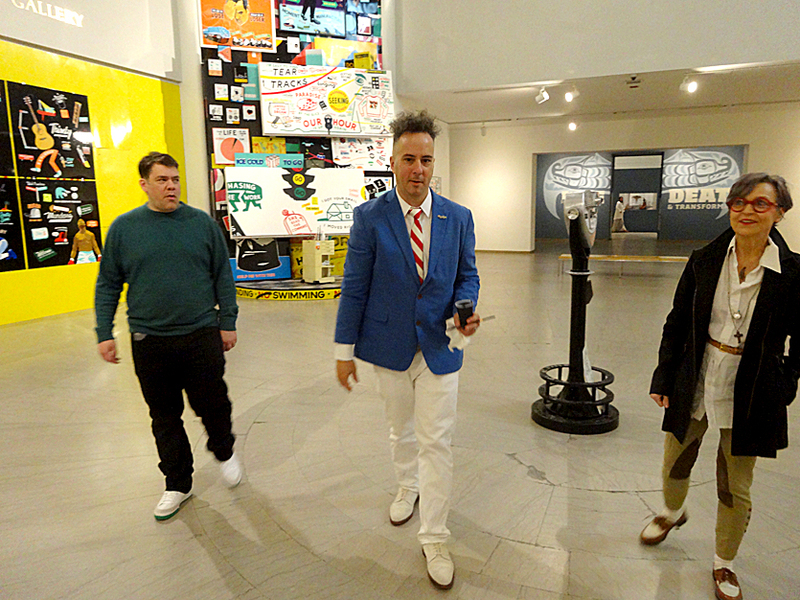 Fundraiser party night for patrons and members at Brooklyn Museum Wednesday night April 20th. Steve (aka ESPO) had installed a massive snarky signage exhibit in his signature Coney Island and Pop lettering and image style, and backed up by his crew; Tim Curtis & Mike Levy. Downstairs in main lobby, SWIZZ BEATS DJ'd the dance party overwhelmingly dense with members. Fun. Really Fun! Sooooo....... so popular, show has been extended to August 21st. Steve, Tim, and Mike paint in the space every day, adding signage & imagery - very entertaining and LIVE TIME art. Today (a few days later) a flock of schoolkids admiringly surrounded our hero Steve, brush in hand, limning a new image. Steve answered the boys & girls questions - introducing them to that living moment of art. With all due complete lack of modesty, yours truly has a vast 4' x 12' painting of the ONE SHOT LABEL from the famous sign paint, loved by several generations of artists, right up to now, including Steve & pals. 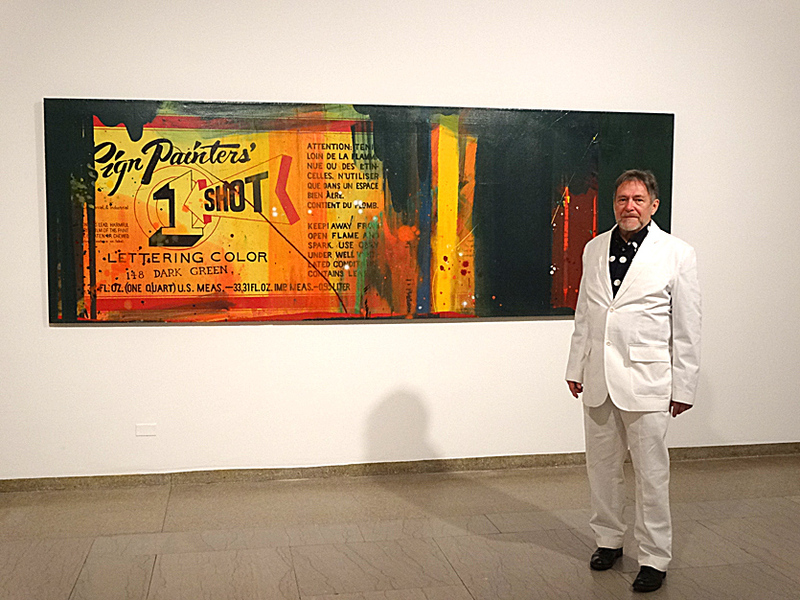 ONE SHOT originally commemorated the widespread use of that paint by some of the first generation of Detroit's CASS CORRIDOR ARTISTS, painted in 1975. Old school visits new school. Email Me from email form below.